It’s warm out! After that last winter, I’m ecstatic to finally be out riding my bike and not be trapped inside any more. Break the banana in two and put it in the blender, then add milk to achieve your desired consistency. I prefer the consistency of an easily drinkable milkshake. It’s very important to use the tamper when making this to avoid having any banana chunks remaining. I find I get the best results when I blend it on high for about 20-30 seconds using the tamper while blending, then check the consistency, adding more milk if needed, and then blending for another 20-30 seconds before serving. For the absolutely best tasting Banana Milk, I personally prefer a 60:40 mix of whole milk from a local farm and soy milk. But just milk and banana is the easiest way to make it. All I have to do is remember to throw a banana in the freezer before I go on a long ride. After the delicious Frozen Mango Margaritas, we tried to replicate the magic with a traditional lime margarita following the same basic recipe, and it was delicious. As with the Frozen Mango Margaritas, I think the secret was using all of the lime fruit, and the Vitamix ‘s ability to make the pulp so fine that it adds to the texture and flavor of the drink. As with the mango recipe above, using the whole lime instead of just lime juice is what makes this so good. Remove the skin with a knife, keeping as much of the fruit intact as possible. Throw the fruit in the blender and squeeze any remaining juice left on the lime skin slices. I don’t use an entire quarter cup of sugar, but people who prefer sweeter drinks will want to use a quarter cup of sugar. Add sugar and alcohol and a bit of ice and water and blend. You’ll need to start with two cups of ice to get a reasonable frozen consistency. Then add ice to keep the mix thick and gelato-like, or water if the mix is too thick. The exact blend is up to personal preference. Garnish with a lime wedge and/or salted rim if you like. Summer is over. It was a great summer, and we ended it in style. 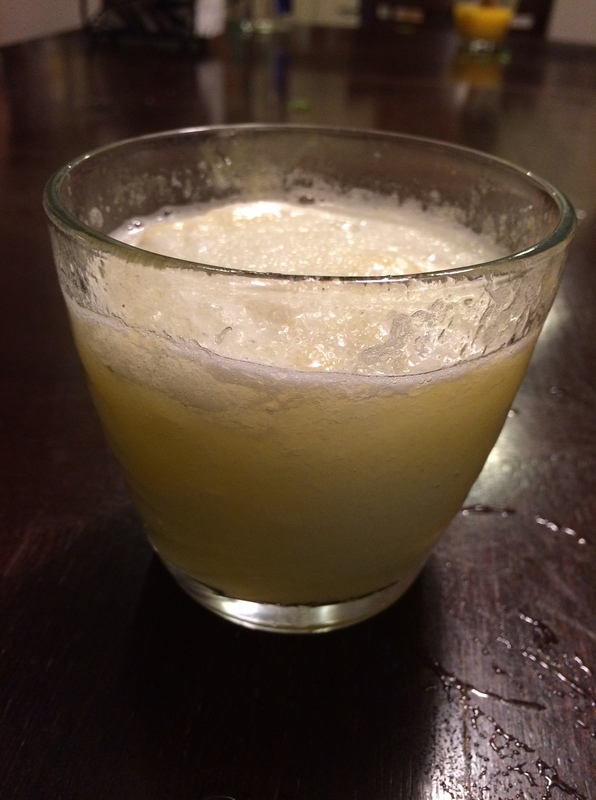 I made some great frozen margaritas, and I want to get the recipes down here so that I can make them again in the future! I started with a recipe for frozen strawberry margaritas that was supposed to be very good, but it didn’t do anything for me. A few tweaks gave me some substantially better tasting mango and lime margaritas. The big secret seemed to be slicing the rind off the lime and throwing all of the inside fruit into the blender (and squeezing the bit that stuck to the skin) instead of trying to squeeze the lime juice in. The Vitamix ‘s ability to make the pulp so fine that it added to the texture and flavor of the drink probably helped a lot. Using the whole lime instead of just lime juice is what makes this so good. Remove the skin with a knife, keeping as much of the fruit intact as possible. Throw the fruit in the blender and squeeze any remaining juice left on the lime skin slices. I don’t use an entire quarter cup of sugar, but people who prefer sweeter drinks will want to use a quarter cup of sugar. Add sugar, frozen mango and alcohol and a bit of ice and water and blend. You’re going to want about two to three cups of ice/water, but with the frozen mango, you have the flexibility to add ice to keep the mix thick and gelato-like, or water if the mix is too thick. The exact blend is up to personal preference, but I’d add one cup of water and one cup of ice to the above at the start. My Frozen Mango Margarita with a hint of red from the Frozen Strawberry Margarita that was in the cup a bit earlier in the evening. It’s summer, I’ve been mountain biking a lot, and Piña Coladas taste amazing year round, but are especially delicious in the summer, after some physical activity. This is a dangerously good piña colada. Consider yourself warned. 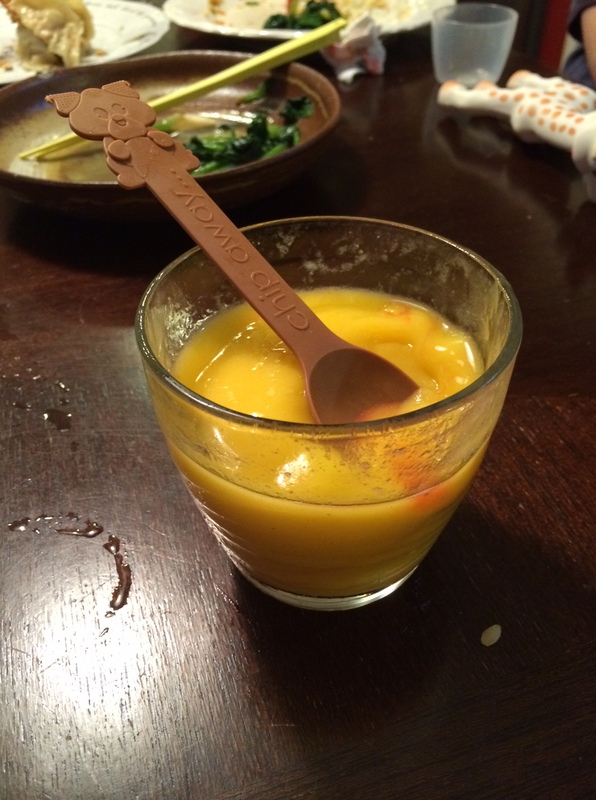 I cut out the stevia and ice from my 2012 recipe, and I replaced them with frozen pinapple juice. Using richer, fattier coconut cream makes it richer than coconut milk, but both work and a fatty coconut milk is the sweet spot, in my opinion. Since the canned pineapple comes in 100% pineapple juice, I’ve been putting that in the ice cube tray for the next batch. That’s about half as much as you need. I top off the the tray with pineapple juice, and use one fairly large tray per batch. Blend for one minute, and use the tamper to push the peanuts into the blades. That’s it! As you’ll see in the video below, the recommended steps don’t work as expected, but I try to follow the process recommended. After recording, I tried the peanut butter, but it was not mixed nearly enough and the texture was somewhere between peanut butter and peanuts, so I mixed it again for a full cycle at Speed 5. That left me with a hot, liquidy peanut butter that I could pour into a plastic container. It now has a more smooth texture than I would normally prefer, but outside of texture, which is a substantial change, it tastes the same as the Vitamix blends I’ve been making. It was still not set after sitting in the refrigerator for about 20 minutes, but it firmed up, and by the next morning it was the consistency of the smooth peanut butter sold at grocery stores. 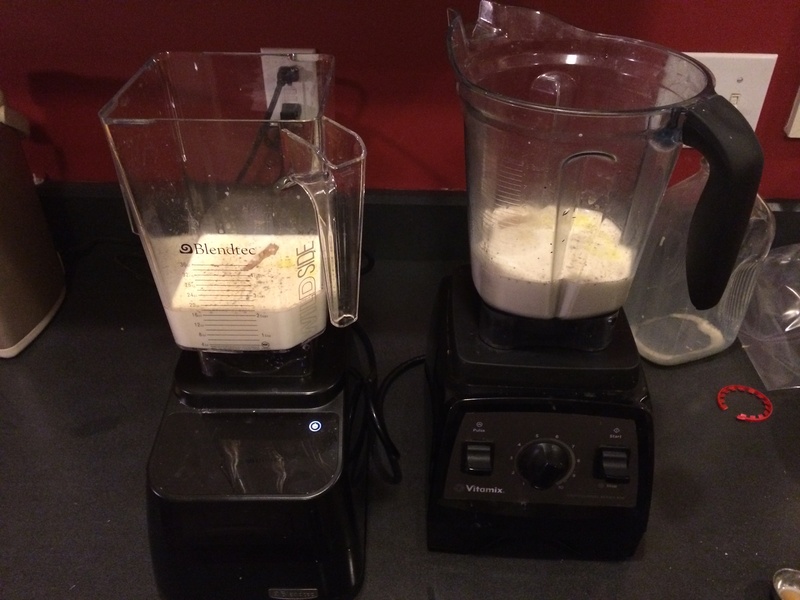 I am a bit surprised by how much more of a process it was to make peanut butter with the Blendtec than the Vitamix, but it certainly can be done, although I will probably stick to making future batches in my Vitamix Pro 300 . For anyone out there who is shopping for a powerful Vitamix or Blendtec blender, the best deals tends to be buying directly from either Blendtec or Vitamix, as Vitamix will give you free shipping at Vitamix.com , and Blendtec offers free shipping when visited through this link. I also recently wrote a detailed post on how to choose the right Vitamix model. Edit (04/08/2013): A Blendtec employee reached out to me after seeing my blog and this post and let me know that my Twister Jar is very well suited for dense mixes like peanut butter. I will try that the next time I’m making peanut butter, and would be happy to hear from any Twister Jar owners that have made peanut butter with it. I decided to wrap up what will probably be my busiest day of blender usage in 2014 with homemade soup for dinner. I’ve made Acorn Squash Soup enough times over the last three years that I know how I like it, and I know what to expect, so when I asked my wife to pick up the ingredients we’d need for Acorn Squash soup, I was surprised when she came back with butternut squash instead. She picked up butternut squash saying she thought it’d be interesting, and I’m glad she did. I’d actually never prepared butternut squash before, so I found a great guide that helped me figure out how to prepare both the squash and the seeds. I roasted the butternut squash as cubes, which gave me plenty of time to boil and then roast the seeds, which turned out much better than I expected. Regarding the recipe, over the years, my soup recipe has gradually evolved from the original Acorn Squash Soup recipe into what I make today, and I recognize that my current version is based on my personal preferences, but if you’re a fan of richer soups and squash, I think you’ll really like this. This recipe can be doubled, which allows you to use an entire squash when making it. It works very well with Acorn Squash as well, and tremendously aided by quality milk, so for the best possible soup, make this with fresh, in-season squash and local farm milk. 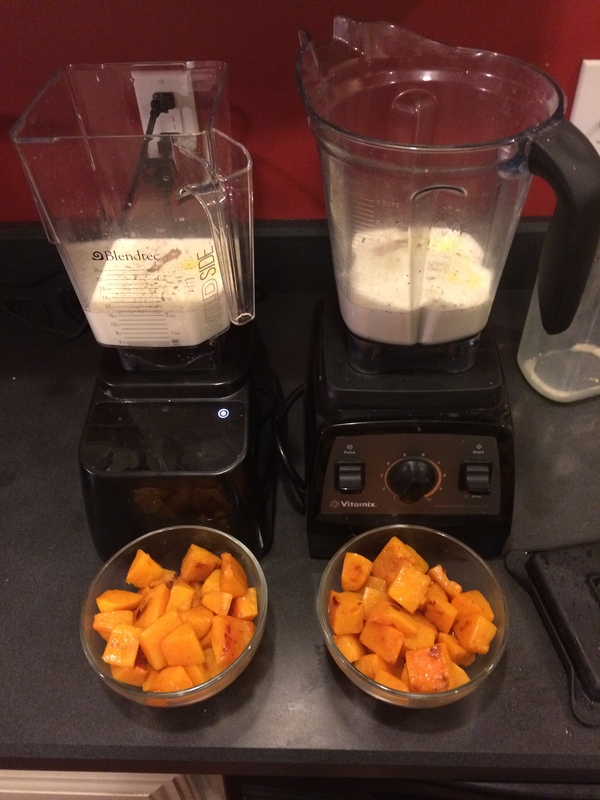 I prepared the butternut squash by cubing and roasting it, using the guide I linked to above. I roasted the cubes for somewhere between 30 and 40 minutes at 400, during which time I was able to boil and then roast the squash seeds, and then prepare the blender with the rest of the ingredients above. With everything else in the blender and ready for the squash, I take the hot squash cubes straight out of the oven and put them into the blender. 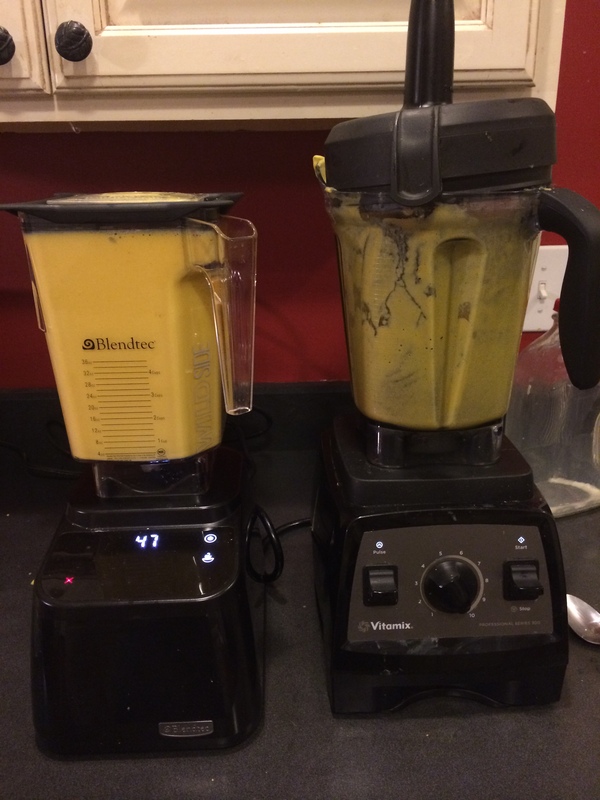 For the Blendtec Designer Series, I use the 90 second soup cycle, and for the Vitamix, I blend on 10 with the tamper for that same 90 seconds, both of which should be sufficient. Taste. Add nutmeg, ginger and cinnamon to taste and blend. Then add salt and pepper to taste and blend. May need to be heated further in a pot before serving. When both mixes were complete, I asked my wife to try them both. 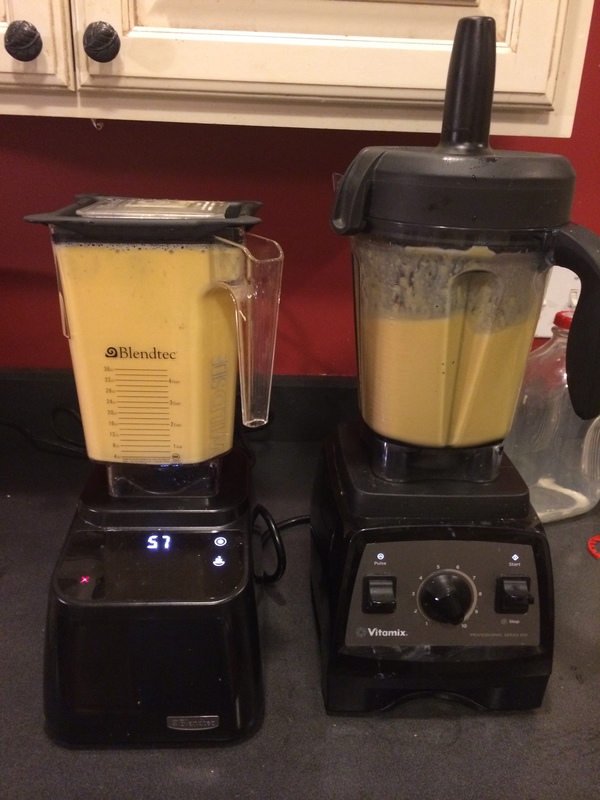 She said the Vitamix tasted more fluffy, but I noticed that the Blendtec soup tasted warmer. Wanting to warm the soup up just a tad more before serving, I decided to add the Vitamix batch to the Blendtec, which I didn’t anticipate to be a problem, because that’s how much I normally make in the Vitamix when I make squash soup these days. Running the Blendtec through a second soup cycle, I began to smell an electric, or motor burning smell. The Blendtec completed it’s entire cycle, but odor that was given off makes me think that the large amount of soup coupled with running the soup cycle twice in a short period of time (it’s the longest and highest speed of any of the presets) was taxing the Blendtec a bit more than I’d be comfortable to subject it to on a regular basis, based on the odor it was giving off. It did heat the soup, and between the heat created by the blenders and the heat of the squash, the soup did not need any additional heating before being served. The soup was delicious, and my wife commented that it has a less distinct flavor than that Acorn Squash Soup, and that it seems like it would appeal to a large group of people as a result. It was very filling, and the next time I’m looking for a squash for soup, I’ll choose whatever acorn squash or butternut squash is the most in-season, as this recipe works very well with either! The first thing I made was whipped cream. I mentioned in this post that I thought the Twister Jar could be a great small batches, and the Fresh Blends book actually had a great recipe for whipped cream, so I thought I’d try both out. The Fresh Blends instructions say to blend, then use a spatula to scrape the whip cream off the sides of the jar, and then blend again, but since the Twister Jar includes a lid that is specifically made to scrape the sides of the jar as you blend, I used that lid with great results. Not necessarily something you need a high powered blender for, but if you already have a Twister Jar and Blendtec Designer Series, this is an easy way to make whipped cream. The recipe calls for vanilla extract as well, but I prefer to put vanilla extract in my waffle batter, so I stuck to just the two ingredients above, adding slightly less than a full tablespoon. Use the Twister Jar with the Twister Lid (not the Twister Gripper Lid) and set the manual slider to power level 1, the slowest setting. The Blendtec Designer Series automatically stops after 50 seconds, which is a great time to make sure that the lid is being used to get any cream off the sides of the jar. Blend again for another 50 seconds, and the whipped cream should be whipped to a great texture. Use the spectacula or a spatula to remove. This is the first bona fide success I have had with the Blendtec that I have been unable to replicate with the Vitamix. The smaller jar, thicker blade and scraping arms of the Twister Jar all seem to make a positive difference in making great whipped cream.